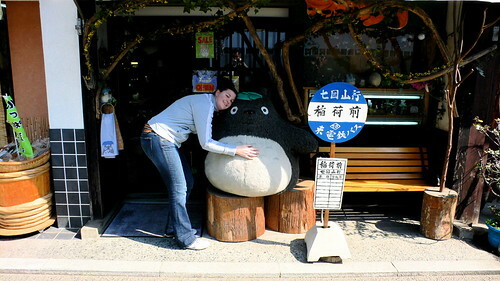 Lea has found the Totoro, and must hug the Totoro. Actually, the coolest things available from the Ghibli shop are little tin-toy figures from the movies that you can wind up and watch hop around. Next: cute kid, eating ice cream.